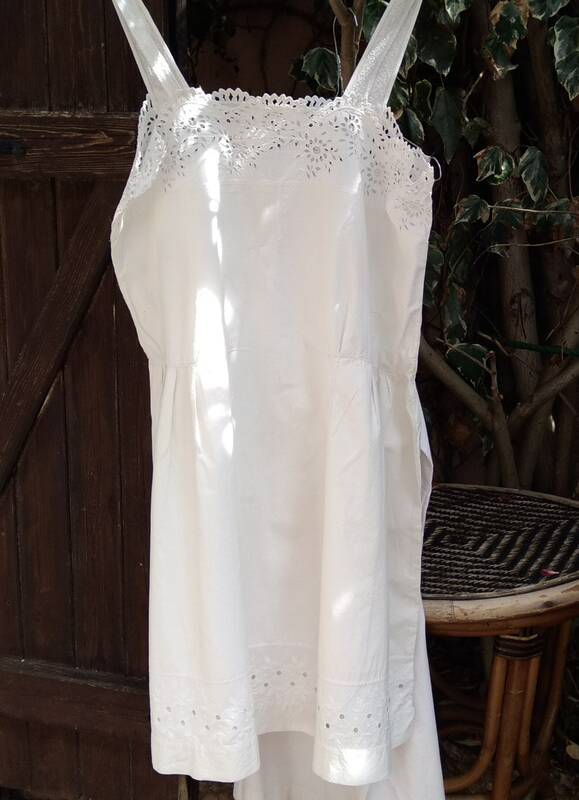 Beautiful White Cotton Victorian Dress. 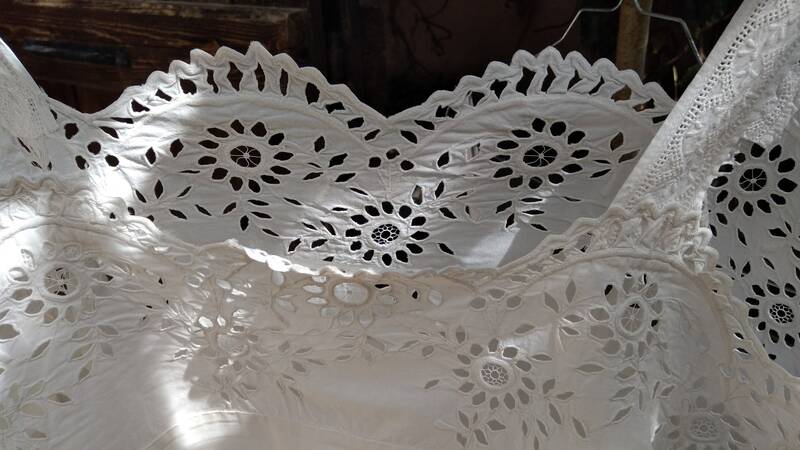 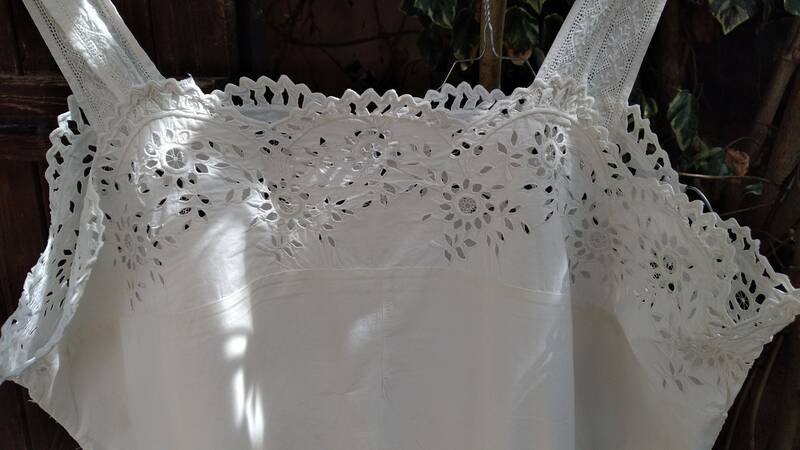 Awesome Hand Embroidered Upper Bust Eyelet Lace. 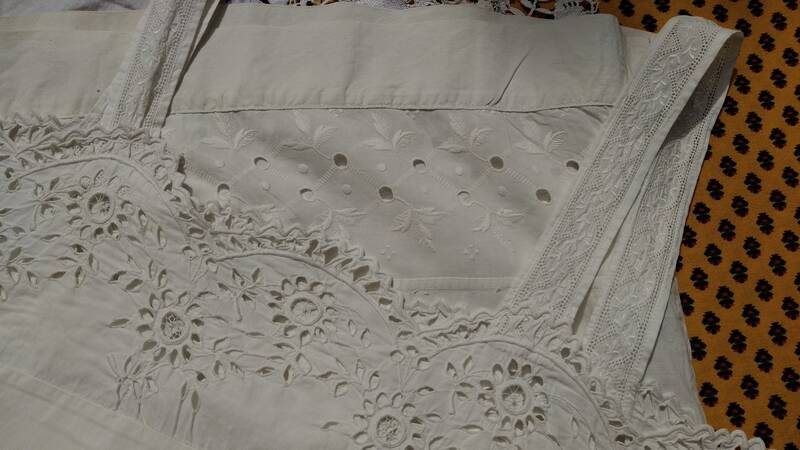 Bottom floral eyelet lace tier. 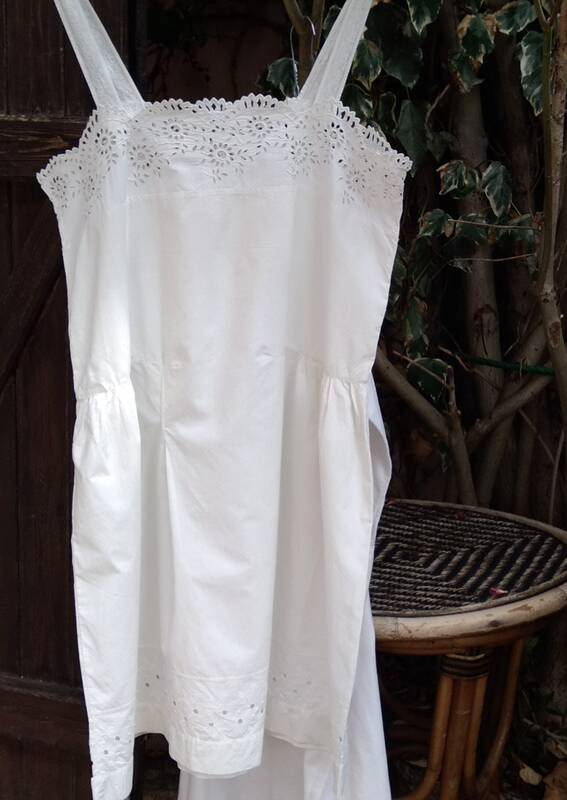 Vintage condition, 3 seams, 1 small darning. 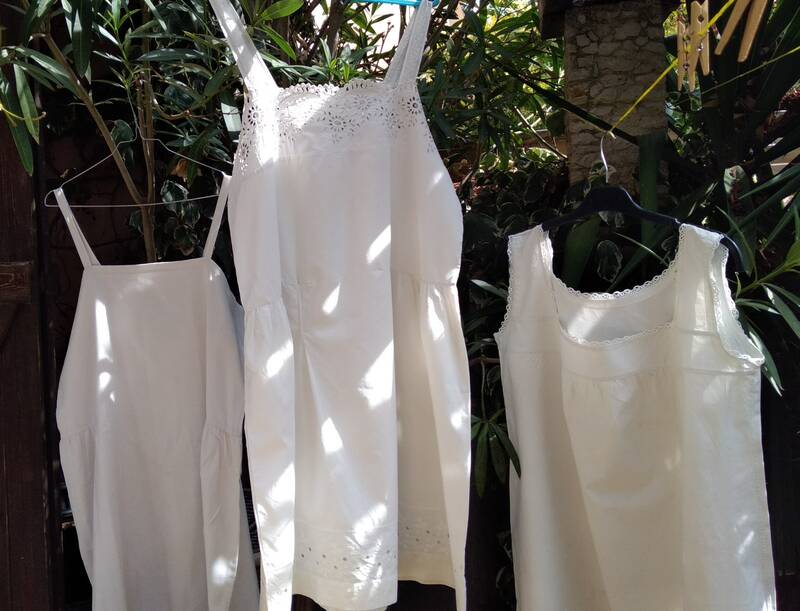 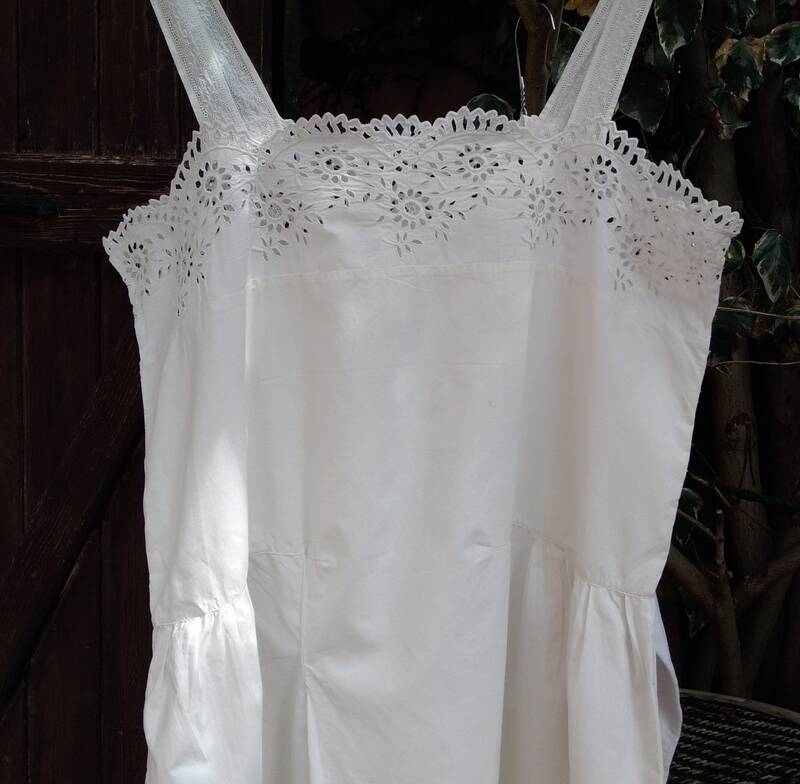 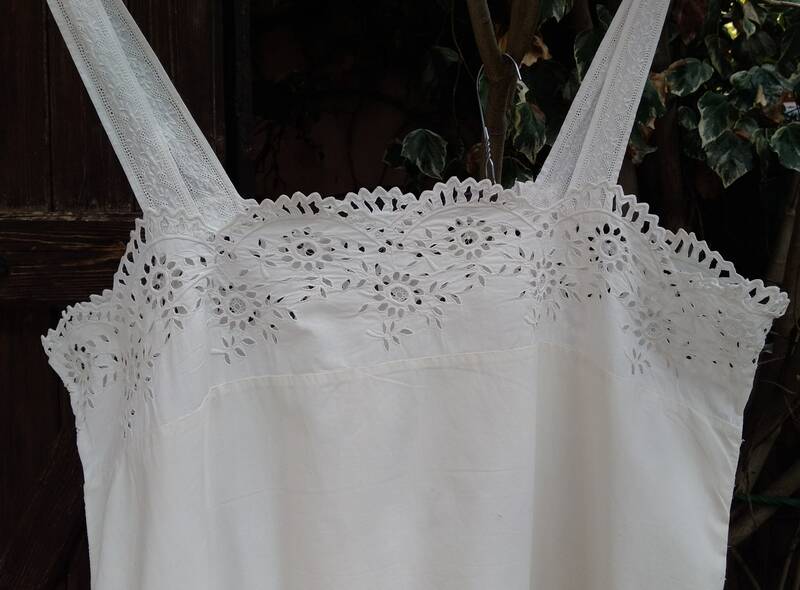 Gorgeous romantic lacey slip to be in use again , to upcycle in a wedding dress or to keep as collectible! 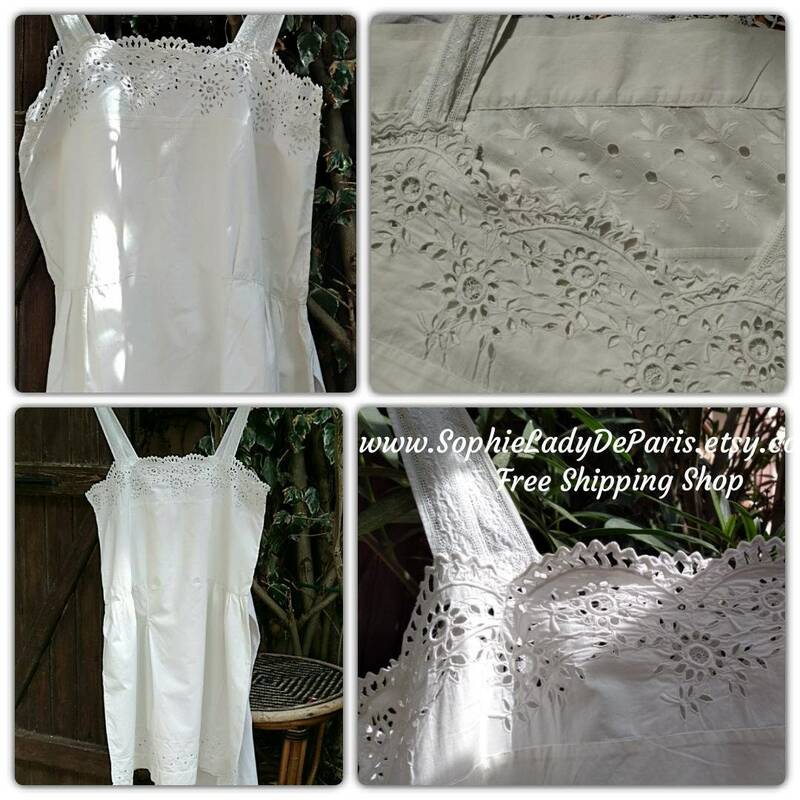 Free shipping World Wide Shop - 1 week delivery to the US.